The claimants, some 838 in number, brought an action against Atlasjet and Cyprus Turkish airlines. Cyprus airlines had ceased trading and then gone into liquidation (and took no part in the trial). The claimants had to purchase alternative tickets. The action was never a formal Group Litigation Order but was managed by one firm of solicitors. At trial only a limited number of claimants succeeded against Atlasjet – Category 1 claims, those who claimed they had been issued with tickets but they were cancelled by Atlasjet. There were 49 of these claimants. The other categories of claimants totalling 789, had their actions dismissed. At trial Atlasjet was ordered to pay 33% of the claimants’ costs. The judgment contains a detailed consideration of the limited basis on which an appellate court can interfere with an order for costs coupled with a discussion of what is meant by “won” and the “who pays the cheque” test. The Court of Appeal overturned the judge’s decision on costs. One can only have sympathy for the trial judge who, having dealt with the substantive issues between the parties comprehensively, compellingly and unimpeachably in her main judgment, was then faced with the challenging issue of costs of the Part 1 trial, in respect of which both the Claimants and Atlasjet asserted they had “won” and “won” by some margin. The costs of the Part 1 trial for these purposes of course included all of the associated costs culminating in the trial itself. Both the Claimants and Atlasjet agreed that the correct approach was for the judge to determine which party had been successful in the Part 1 trial for the purposes of CPR rule 44.2(2); and the judge cannot be criticised for following that approach. However, in my view, it required considerable caution, because it is self-evident that, whilst both the Claimants and Atlasjet had had some substantial success, no party had been wholly successful in the trial. It was essential, to do justice between the parties, that their respective success was reflected appropriately in the final costs order made. It is here where I consider that the judge, unfortunately, went wrong, much in the manner suggested by Mr Adkin. “I agree with Mr Bradley that the Claimants are the winners because at the end of the day, they will receive a cheque from the Defendant. Although, in the immediately preceding paragraph (i.e. ), the judge said that the authorities require “common sense” to be applied “to reach a realistic evaluation of who has won” – with the issue of whether one party receives money from the other being only “one highly relevant factor” – in using the causal word “because”, that paragraph is clear that the determinative, if not sole, factor that hallmarked success in the Part 1 trial was that the Claimants had received a cheque from Atlasjet at the end of it. However, with respect, I agree with Mr Adkin’s submission that that is too crude an approach to such litigation as this. It is uncontroversial that, in assessing costs as between parties, the court must look at the litigation as whole. The A L Barnes line of authorities each relate to a claim for money between two individuals. In such claims, who pays whom may well be a straightforward and easily identified mark of who the unsuccessful party might be for the purposes of CPR rule 44.2(2), even if that party has been successful in respect of some issues which might warrant (say) a percentage reduction in his recoverable costs, the CPR encouraging percentage awards rather issues-based awards on grounds of practicality (see CPR rule 44.2(7)). But in a group claim, looking at the litigation as a whole, there are other material factors. First, in a group claim such as this, whilst the defendant may be unitary, the claimants are not. In his submissions, Mr Bradley referred to this group claim as a “unitary claim”; but that is to misdescribe it. In this case, there were 838 individual claims, albeit joined and managed together because, without that mutual support, clearly none would be viable. As a result of the Part 1 trial, Atlasjet was successful (or, in relation to Category 3 claimants, deemed successful) in 792 claims, in which the individual Claimants were reciprocally unsuccessful. On the basis of CPR rule 44.2(2), as a starting point, Atlasjet was entitled to its costs from those Claimants in relation to those individual claims. It seems to me that that is particularly so in the absence of a GLO. Second, a group claim is managed so that any trial not only conclusively determines any lead claims. The trial is intended and designed to determine matters, through the vehicle of preliminary issues and/or lead claims, that will determine or assist in the determination of the balance of the claims by agreement or later individual small-scale trials. Consequently, the direction any money travels as a result of a group claim trial may not always properly reflect “success”. Looking at the litigation as a whole, whether a party is “successful” is an issue which has to take into account both the extent to which a party has been successful in such issues and the consequences of the trial for the balance of claims. These are, quite clearly, material considerations so far as the issue of costs as between the parties is concerned. These factors can be taken into account in a variety of ways, each of which involves an assessment which is quintessentially fact-specific. Thus, in BCCI, hundreds of employees sued their employer bank for breach of the trust and confidence term in their contracts of employment by the bank conducting illegal activities. Five employees were chosen to bring lead claims to trial. Lightman J held that, although the bank was in breach of contract as alleged, none of the lead claimants had suffered loss as a result. In dealing with who was successful for costs purposes, he considered context was critical; and “unhesitatingly” held that “honours were even”. Whilst the lead claimants had all failed, they had proved breach of contract and had opened the door to possible claims by other employees and, for the benefit of all concerned, had “cleared the way for a more expedited resolution of such claims”. He made no order as to costs. In other group claims, orders have been made in respect of costs dependent upon whether individuals have been successful or not, with generic costs being apportioned amongst the individuals who have benefited from the generic work done (see, e.g., Nash v Eli Lilly & Co  1 WLR 782, and Nationwide Building Society v Various Solicitors  1 All ER 850). In the PWG Litigation, there was a GLO in respect of 183 claims for a variety of malignant and non-malignant diseases brought by former workers at the Abercwmboi Phurnacite Works, Aberaman, South Wales. Eight lead cases were chosen to represent the various diseases. In the case of bladder cancer and basal cell carcinoma, Swift J held that causation had not been proved. In respect of the other conditions, causation depended on the particular circumstances of the claim. As a result, four of the eight lead cases succeeded and four failed. Of the 175 non-lead claims, nine failed whilst 166 proceeded for a determination of whether causation could be proved on their individual facts. In the costs application, it was common ground that the defendants should pay the claimants a proportion of their costs. The claimants submitted that the judge should look at the litigation as a whole, and, if anything make only a small deduction in respect of the issues that they had lost; whilst the defendants contended that it was inappropriate to look at the litigation as a whole, but the judge should rather look at who has succeeded in relation to each of the main generic issues, before determining the overall percentage of costs payable to the claimants. Swift J preferred the former approach. Citing Kastor Navigation and BCCI, she said (at ) that it was clear from the authorities that the question of who is the “successful party” must be determined by reference to the litigation as a whole, “success” for the purposes of the CPR being “not a technical term, but a result in real life”. She then broadly considered the main issues before her, not just at the trial itself but throughout; and concluded (at ) that “viewed overall, the claimants were successful at trial and are prima facie entitled to their costs”. She did not consider the time spent on various issues at the trial to be a reliable guide for the reduction in the claimants’ entitlement to costs; which, on a broad-brush assessment, she considered should be 20%. She ordered the defendant to pay 80% of the claimants’ costs. I do not consider that this authority is of any great assistance to Mr Bradley. Unlike the case before us, in the PWG Litigation the defendant accepted that it must pay some costs to the claimants, i.e. the claimants were the “successful party” for the purposes of CPR rule 44.2(2). Given the outcome of the trial, that concession is unsurprising. The case concerned the proper approach to the assessment of the reduction in those costs that would, in all the circumstances, be appropriate. In making that assessment, Swift J rightly considered that she should take look at the litigation as a whole and not simply consider (e.g.) the time that was spent on particular issues at the trial. Her approach was plainly correct. The case is not arguably authority for the proposition that, in assessing “success” for CPR purposes, group claims are to be approached on the same basis as unitary claims – indeed, it makes clear that that is not the case – let alone that the principle derived from the A L Barnes line of authorities is simply transferrable across to group claims such as this. In my view, unfortunately, Whipple J was wrong to equate “who receives the cheque” with the successful party for the purposes of CPR rule 44.2(2) in the context of this complex group claim. She was required to consider who was successful, in the context of the group litigation as a whole; and that was not truly reflected by the fact that a limited number of Claimants were successful in and as a result of the Part 1 trial. The judge’s observations about the percentage success in  of her judgment made after her conclusion in , apparently based on who paid whom, are expressly made “in assessing the extent of that success” (emphasis added). However, I accept the submission of Mr Adkin that they betray a misunderstanding of “success” in this context: the judge took into account the success of the Claimants but not the success of Atlasjet. The group claim comprised many individual claims. In a large proportion of those claims (792 claims), as a result of the Part 1 trial, for the purposes of the CPR, Atlasjet (and not the Claimants) were successful. Similarly, with the lead claims and the categories of claim. In the majority of each, Atlasjet had been the successful party. That had to be reflected in the analysis of costs; but, in the section in which the judge dealt with the issue of success (i.e. - of her judgment), she did not do so. Having fixed her starting point (i.e. the Claimants, as the successful party, were prima facie entitled to their costs), the judge’s consideration of Atlasjet’s success in relation to the appropriate reduction in costs, in , was clearly inadequate to remedy that error. Nor, in my view, is the position rescued by the judge, at , indicating that she considered that the percentage award of 33% of the Claimants’ costs properly reflected the outcome of the case and issues and the conduct of the parties. In my view, the fact that the judge’s starting point was wrong is fatal to her analysis and her conclusion. The fact that the judge adopted the wrong approach to “success” for CPR purposes, also explains why the spectre she feared – of the Claimants’ overall win being eradicated by Atlasjet’s costs (see  of her costs judgment) – was illusory, the Claimants’ success as she found it to be being built on a false foundation. As I have indicated, I do not accept Mr Bradley’s submission that the reference to Atlasjet’s success in  of the costs judgment was part of the judge’s analysis of who was the “successful party” for CPR purposes: it was expressly concerned with the assessment of any reduction to the Claimants’ costs, on the basis that they were overall successful. Nor do I accept the submission in the Claimants’ Respondents’ Notice: that the judge concluded that most of the evidence and argument explored at trial would have been necessary to secure judgment for any single Claimant, and that was an alternative basis upon which this court could uphold the judge’s finding that it was the Claimants who were the “successful party”. The evidence to which Mr Bradley refers is that relating to the issue of reliability of Atlasjet’s records; and, whilst that was an important factual issue at the trial itself (and the Claimants’ success in it is clearly a material factor in consideration of costs as between the parties), to determine overall success on the basis of that alone would be to ignore other issues with which this litigation, looked at as a whole, was concerned, including the preliminary issues, the issue concerning systemic overbooking and the majority claims that failed as a result of the Part 1 trial. For those reasons, I consider the costs order to be wrong; and it must be set aside. In those circumstances, each party urged this court not to remit the matter but to assess the appropriate costs order itself. That, given the history of the matter, is clearly the correct course. In making that assessment, I have considered the litigation as a whole; and which party (if either) was the successful party in the Part 1 trial. In doing so, I have particularly taken into account the following matters. i) In respect of the preliminary issues, designed to give guidance for the determination of the cohort of claims, Atlasjet was entirely successful. ii) In respect of the three categories of claim and the lead claims themselves, there were mixed fortunes. Atlasjet was successful in the legal issues which led to the dismissal of all the Category 2 and 3 claims, the majority of the total. On the other hand, the Claimants were successful on the issue of principle left in relation to the Category 1 claims (i.e. whether the issue of a conventional flight ticket was required for there to be a contract between Atlasjet and a Claimant); and they were successful in two of the three lead claims. Furthermore, that success led to 32 further claims being left open for consideration on their individual merits. iii) I am acutely aware that Whipple J heard several days of evidence from the relevant witnesses, and we have heard none. She made some clear findings of fact, which are not challenged and are unchallengeable. In respect of the main factual issue live at the trial (i.e. the reliability of Mr Teker’s evidence and of Atlasjet’s records), she found firmly for the Claimants. That issue occupied much trial time and effort. However, on the other factual issue (i.e. as to overbooking), which also featured heavily at the trial, she found for Atlasjet, in the sense that she found there to have been no evidence of systemic overbooking, although there was some overbooking in practice. Whilst there was no doubt overlap in the evidence required for these issues, the judge was entitled and (on her findings of fact) right to conclude that the Claimants were in principle entitled to recover their costs associated with the reliability of records issue. However, equally, Atlasjet was in principle entitled to its costs associated with the systemic overbooking issue. In the Part 1 trial, it is clear that neither party had anything close to complete success, and indeed that honours were fairly even. Pausing there, although by CPR rule 44.2(2)(a) it is the general rule that an unsuccessful party will be ordered to pay the costs of the successful party, rule 44.2(2)(b) provides that “the court may make a different order”. It seems to me that, where the concept of overall “success” may be a necessarily ambivalent concept (as in a complex group claim trial, in which opposing parties each have considerable success), a search for an overall “winner” may be a largely fruitless exercise. In any event, it is clear from CPR rule 44.2 that, in assessing costs as between parties, the court must first determine whether to make a costs order at all. BCCI (see paragraphs 9 and 63 above) illustrates that, where the court considers success and determines that no party was successful – in the sense that “honours were even” – it might be appropriate to make no order as to costs. Before considering whether any costs order is appropriate in this case, it is necessary to return to two further grounds of appeal upon which Mr Adkin relied. In paragraphs 5.4 and 5.5 of its Grounds of Appeal, Atlasjet submits that the judge erred in taking into account, for the benefit of the Claimants, two aspects of Atlasjet’s conduct. First, it is said that she was wrong in finding that Atlasjet was blameworthy in failing to disclose certain flight logbooks until the trial. Those related to the Claimants’ allegation of systemic overbooking, which was never pleaded as such; and the logbooks were only requested when Mr Ersoy referred to them in his cross-examination. However, in my view, the judge was entitled to conclude (as she did in  of her costs judgment) that it was plain long before trial that the Claimants wished to establish passenger numbers on Atlasjet’s flight from the United Kingdom and that Atlasjet were at fault in not disclosing them earlier. I reject this as a distinct ground of appeal. It is a matter that is properly taken into account in determining costs as between the parties. Second, Mr Adkin submits that the judge erred in taking into account the fact that the Claimants had made a Calderbank offer on 24 April 2015, which the Claimants did not beat but to which Atlasjet made no counteroffer. There is no proper basis, he submits, for punishing a party in costs for failing to make an offer or counteroffer. However, I am unpersuaded that this ground has any force. The offer was an admissible offer to settle, to which the judge had proper regard under CPR rule 44.2(4); and, as Marcus (see paragraph 14 above) illustrates, whilst the absence of a Part 36 offer is not material to costs as between parties, where a party fails to make an appropriate Calderbank offer, that may be relevant. It was certainly open to the judge to conclude that Atlasjet’s conduct in failing to engage in attempts to compromise this litigation, in circumstances which were “crying out for some sensible attempt at negotiation before costs racked up and the parties’ attitudes hardened”, was a matter which should be reflected, against Atlasjet, in consideration of costs as between the parties. That too is a matter which, on the basis of the findings of the judge, I consider is properly taken into account on the question of costs. Having considered all of these matters, it seems to me that it would be appropriate to make no order as to costs as between the parties. To the extent that Atlasjet had any slight success over and above the success obtained by the Claimants at the trial, in my view that is offset by its conduct as found by the judge. For those reasons, subject to my Lord, Davis LJ, and to any submissions on the precise terms of the order, I consider that no order as to costs would both be compliant with the letter and spirit of the CPR and be the just and appropriate order as to costs of the Part 1 trial as between the parties. I would therefore allow the appeal, quash paragraphs 8 and 9 of the Order of Whipple J dated 21 June 2016 and, in their place, make an order that there be no order as to costs. Although not directly bearing on the issues with which the appeal is concerned, I consider it would be remiss if I did not express my dismay at the way in which the costs of the parties have so vastly, and so obviously, exceeded any substantive claim that the Claimants may have had. We do not have precise figures for the costs expended by the parties in this litigation. However, we were told that Atlasjet’s costs of the Part 1 trial were in the region of £800,000; and the Claimant’s costs, including success fee, appear to be in a similar region, if not somewhat more. The total costs could not have been far shy of £2m. I fully understand that the money claimed by each Claimant was not insignificant for them. We were told by Mr Bradley (and, for my part, I accept) that the Claimants are “modest folk” – Mr Bradley’s term – for whom the loss of the money spent on flights not made would have had a real impact. For example, the evidence of Mrs Atesogullari was that she had not been back to see her family in Turkey for ten years, and was taking her three children with her, two of them to see their natural mother’s grave. When Atlasjet reneged on its contractual commitment to carry them, she purchased three flight tickets with Turkish Airlines for a total of £1,700, but could only afford to take two of her children. One had to be left behind. I do not for a moment minimise the impact of Atlasjet’s default on individual Claimants. However, for each Claimant, the sum claimed in the proceedings was very modest, in the low hundreds. 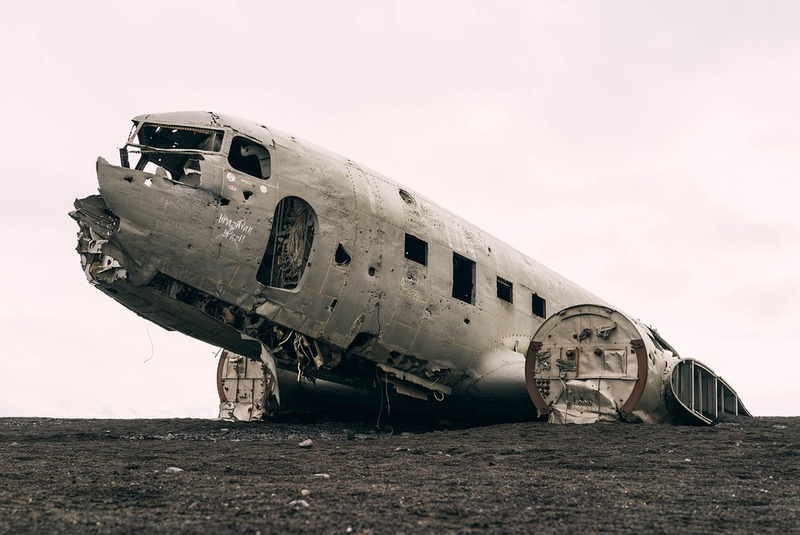 The Calderbank offer made by the Claimants, that sought a settlement on the basis of a flight voucher for £250 per Claimant, paints the general picture. We do not have details of the CFA between the Claimants and their solicitors; but we do know (i) that the solicitors must have regarded the claims as being high risk, as the success fee was put at 100%; and (ii) the Claimants did not have the protection of after the event insurance. On any view, this litigation, for the Claimants, presented a very high commercial risk out of all proportion to the potential prospective rewards. On the other hand, knowing that the claims were necessarily very modest in amount, Atlasjet refused to consider any form of compromise, until shortly before the trial, when, in effect, its efforts were both too little and too late. The judge correctly observed that this case cried out for some early, sensible consideration of compromise. From a very early stage, the main driver of these proceedings was clearly not the substantive sums claimed but costs. In the circumstances, although playing no part in my ultimate conclusion, or my analysis leading to it, it seems to me that no order as to costs is particularly appropriate. This is a melancholy tale. It is reasonably evident that the main issue in this litigation has for a while in truth been the issue of costs. In matters of costs, the appellate court will ordinarily be very slow indeed to interfere with the exercise of the judge’s discretion: the more so when, as here, the judge had also had the advantage of conducting the trial. However, in my opinion the judge, in the present case, erred in principle in, in effect, determining the issue of who was the successful party by focusing on which party ended up writing a cheque. That simply does not reflect the reality of the outcome of this particular group litigation for the reasons given by Hickinbottom LJ in his judgment, with which I entirely agree. That conclusion entitles this court to exercise the discretion afresh. I further agree that, looking at matters overall, the appropriate order as to costs in the proceedings below is no order as to costs. I desire to add that I share the concerns expressed by Hickinbottom LJ in the postscript to his judgment. The potential risks to the individual claimants, of modest means and pursuing claims for relatively modest sums but without any GLO and without any after the event insurance, were very significant. At the same time Atlasjet were, it would seem from the judge’s findings, to a degree intransigent in not endeavouring at an early stage to achieve a pragmatic and cost-effective solution. The consequence, overall, has been one which (in terms of the incurring of costs) has been out of all proportion to the practicalities. As I see it, neither side comes out of all this with much credit.